Hey y’all – today I’ve got another video tutorial for you – how to measure kids. In the video, Bean assists me to show you how to properly take measurements so you can start to determine which size to sew for your kid. In the next video (hopefully next week) I’ll show you how to take those measurements and modify a pattern if your kid falls into different sizes on different measurements. 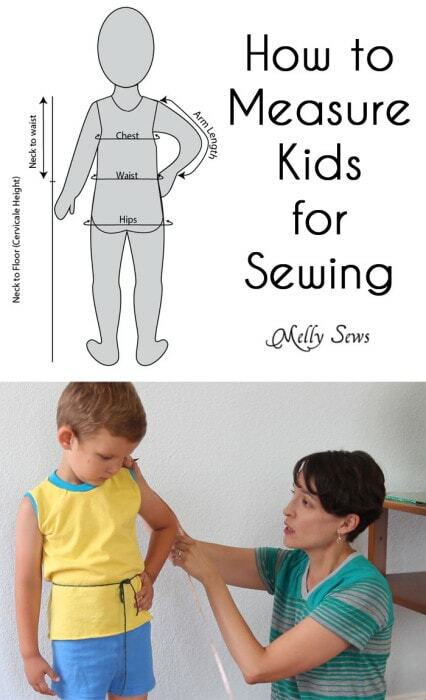 If for some reason the video above won’t load, you can also watch it on YouTube here – How to Measure Kids for Sewing. 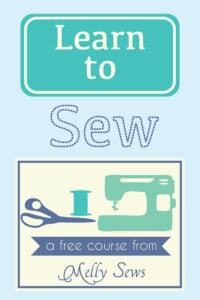 AND I have a free printable measurement card for you to write down your kids measurements. Download and print it here. 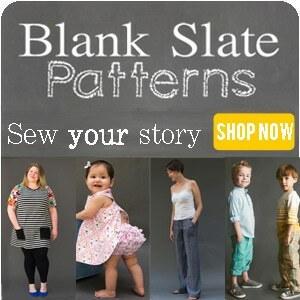 See how to use these measurements to fit a pants pattern here. See how to modify and fit a shirt pattern with these measurements here. Love the site and everything you put on it. This will be great as all the kids I have to sew for live far away so I will be able to send this to their mothers for the measurements. I am wondering if there is a way for you to put a pin link on each page when you put it up? I find I have to search through all your boards to find the one I would like to remember. Love it!!!!! Can’t wait to see the next video!! My daughter has the waist of a six year old and the legs of a nine year old!!! So helpful – thank you! Definitely want to see how to modify the right way. I get so-so results with some of my sizing adaptations. Melly this is awesome and what a little start you have there. Thanks for this great info. Thank you for the video, I have seen this in books, but the video really helped me with the waist measurement. Thanks for the cute measurement card! Great tutorial! and Bean is adorable! This was so helpful! I was definitely taking some measurements in the wrong area. Thank you! Hi how do u get a torso mesurement? Measure from the bottom of the neck to hip; this is easier if the child is seated and you measure to the chair seat. I sew for my grand kids long distance. My daughter measures their clothes that fit comfortably and I make garments to measure the same. Easier than measuring a wiggly little boy or girl. Thank you, that was very helpful. I have been having a bit of a challenge getting an accurate measurement for kids costumes.